Includes the Aerial Warfare In Europe During World War II illustrations pack with over 200 maps, plans, and photos. THE classic account of the Royal Air Force Bomber Command during World War Two. 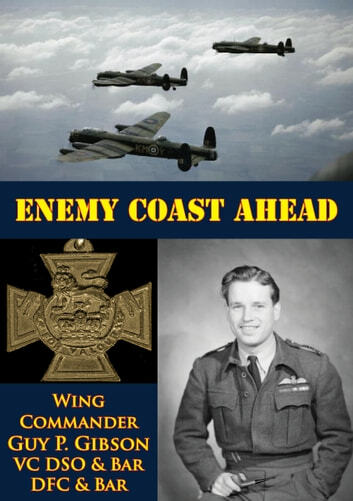 This is probably the best-known memoir by a Bomber Command Officer. The author first saw active service with 83 Squadron in 1939 flying against German naval targets. After completing 39 missions he transferred to Fighter Command where he flew as a night-fighter pilot with 29 Squadron. In 1942, he was given command of 106 Squadron. Such was his success flying Lancasters that when 617 Squadron was formed for the specific task of attacking the Ruhr valley dams, the author was given command. Awarded the VC for the famous ‘Dam Busters’ raid, the author was commissioned to write this book, a task which he completed shortly before his death in 1944.-Print Ed.